PITTSBURGH—You may think the best place to build a wind farm would be on the Great Plains, and the prime spot for a solar plant would be in the Southwest. But that's not the case according to Carnegie Mellon University researchers. The main reason to build wind and solar plants is to reduce air pollution and carbon dioxide emissions, therefore the Southwest and California are about the last place in the U.S. where plants should be built. Building new wind and solar plants in Ohio, West Virginia and western Pennsylvania is a much better bet. This is the conclusion of a paper, titled "Regional Variations in the Health, Environment and Climate Benefits of Wind and Solar Generation," authored by four CMU experts from the Center for Climate and Energy Decision Making. The paper by Kyle Siler-Evans, Ines Lima Azevedo, M. Granger Morgan and Jay Apt will appear this week in the prestigious Proceedings of the National Academy of Science. "A wind turbine in West Virginia displaces twice as much carbon dioxide and seven times as much health damage as the same turbine in California," said Siler-Evans, a Ph.D. researcher in CMU's Department of Engineering and Public Policy from Santa Fe, N.M. "The benefits of solar plants are greatest in the cloudy East as opposed to the sunny Southwest." 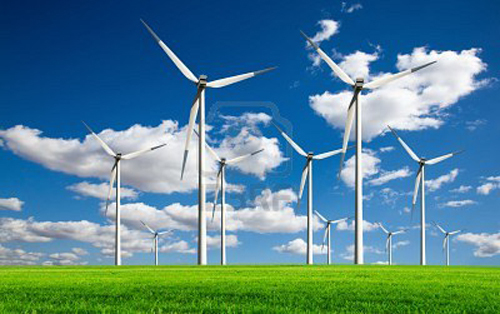 Federal subsidies for wind and power plants are the same across the country. But Azevedo, an assistant professor of engineering and public policy (EPP) and executive director of the Center for Climate and Energy Decision Making, argues "that while there is of course some uncertainty about the magnitude of the health and environmental damages avoided, if we are going to justify the added cost of wind and solar on the basis of the health and climate benefits that they bring, it is time to think about a subsidy program that encourages operators to build plants in places where they will yield the most health and climate benefits." The power generated by wind and solar is highly variable and intermittent. "There are significant costs associated with deploying and integrating wind and solar plants into the grid, so it would be best to do it in places where we can get the greatest health and climate benefits," said Apt, director of CMU's Electricity Industry Center. "These unexpected results are an example of the sorts of findings that result from CMU's broad, interdisciplinary research focus," said Morgan, director of the Scott Institute for Energy Innovation and head of the Department of Engineering and Public Policy. This research was supported by Center for Climate and Energy Decision Making, through a cooperative agreement between the National Science Foundation and Carnegie Mellon, and by the Carnegie Mellon Electricity Industry Center. The full paper can be found at http://www.pnas.org/content/early/2013/06/19/1221978110.full.pdf+html. Building new wind and solar plants in Ohio, West Virginia and western Pennsylvania has a greater effect in reducing air pollution and carbon dioxide emissions because in those locations they replace electricity generated by coals plants.